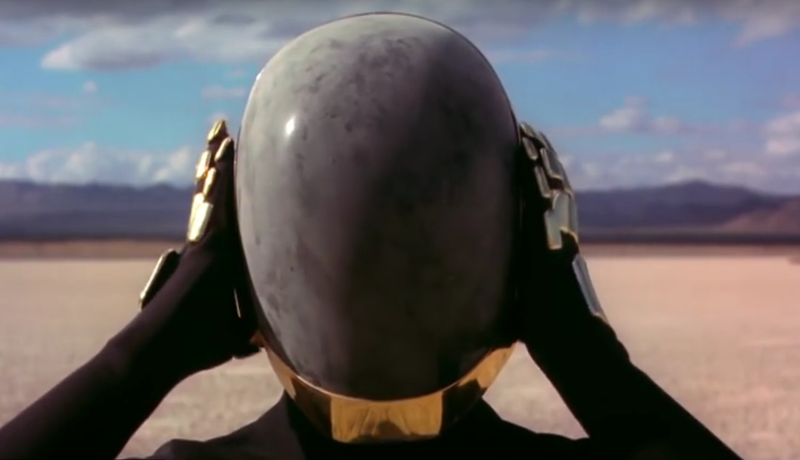 Daft Punk are at it again, and after the recent pulling of their BBC France documentary Unchained, they have resurfaced this updated trailer that promises some sort of release across theaters in a limited engagement. I really don’t understand all this enigmatic buildup over two French DJs in masks. Their last album did not really move any mountains for me, but I still support their body of work for pushing well made electronic dance music for the senses. Will they take it off? Who cares! Just make a film that matters.